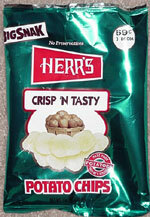 Taste test: Herr's did a good job when they named these chips. 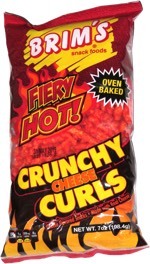 They are indeed crisp and tasty  definitely more crispy than your average potato chip, and with a good potato taste. They are, however, a bit on the greasy side, so make sure to have a napkin handy.